As the couple began exploring their new home’s rich cultural bounty, they met others with similar interests, becoming part of their community and developing strong friendships. Byron joined the local historical society. Kelly was invited to join the local service club. They spend their free time exploring the countryside, which is rich in Old World castles, palaces, and ornate Renaissance bridges. They go for leisurely walks on the canal or in their own little town, with its steep, cobbled streets and ancient churches. Together with friends, they share aperitifs and critique the latest local concert. Enjoying café life with an espresso or a glass of wine is a favorite pastime. This is a time for friends to meet and discuss their day or their plans for the weekend. 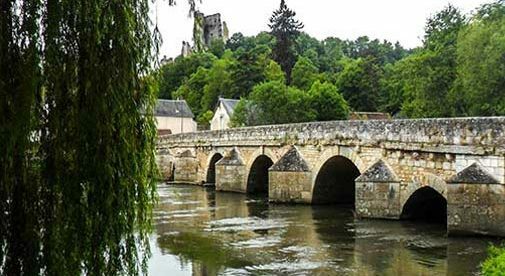 France abounds in rustic charm and quaint villages, with many free or low-cost activities. Enjoying a concert held in a tiny medieval church, strolling the grounds of a grand château, or attending a village festival are just a few examples. “Our French friends are passionate about their country and have given us so many ideas for what to see and where to go,” Kelly says. Byron and Kelly are well placed to make the most of both city and country living. “Happily, we live in the center of France, so it is easy to take short trips. France is such a diverse country, and it is a pleasure to see the different architecture and cuisine in each area. We keep an eye on the exhibits in Paris and will pop up there if we see some-thing interesting is happening.” The capital is only a two-hour train journey away. Byron and Kelly feel that they have found their niche. They are living the culture they admire and embrace. 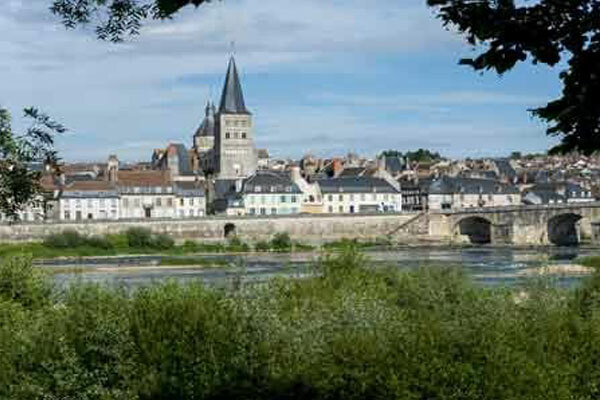 In the beautiful French countryside and only a stone’s-throw from one of the world’s great cultural capitals, they truly have found home.